VIP's proven high quality retractable belt barrier system that mounts just about anywhere. Perfect for aisle ways, warehouse racking, checkout stands, roll-up doorways, garage door entrances and the list is endless. Let the VIP Wall Mount product line answer your Crowd Control question. VIP's retractable belt wall mount barriers are compact attractive units that can be mounted to any surface simply and quickly. All Wall Mount products and accessories are ready for same day ordering and shipping before 3pm pacific time. 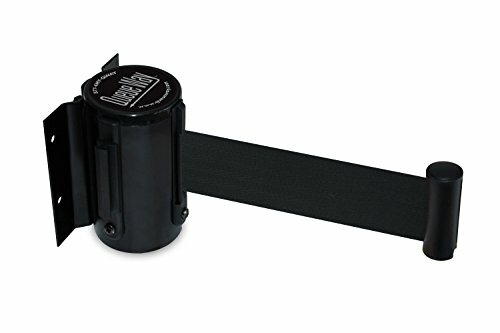 Quickly close off areas with the US Weight Wall Mount with Retractable Belt. 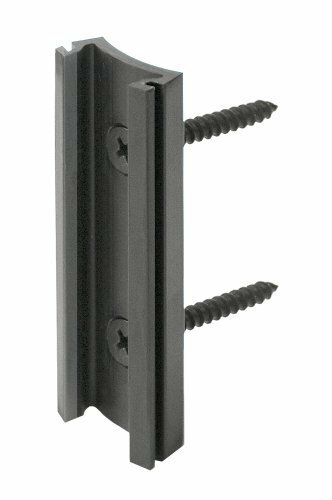 Wall mounts are the economical solution for crowd control because they do not take up floor space and are perfect for keeping unwanted traffic out. The retractable belt can span small or large openings with two different belt lengths. Installation is simple and the mount’s steel construction is incredibly durable for years of heavy use. The wall mount includes safety features such as a belt braking system for slow and predictable belt return, and a locking button to prevent accidental belt release. US Weight, located in Olney, Illinois, introduces an economical solution to crowd control with the Wall Mount with Retractable Belt. 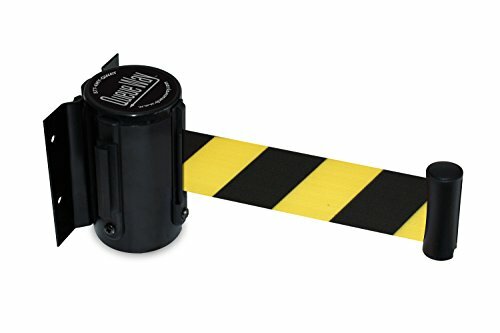 Tensator QWAYWALL-D4 QwayWall Wall Mounted, Black Finish, Black/Yellow Diagonal Stripe, 7'6"
QueueWay- Retractable Belts & Signs. 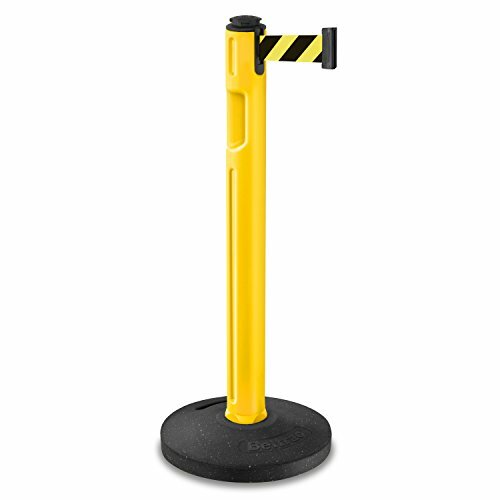 When choosing our entry level QueueWay range of retractable belt stanchions, classic post and rope, wall mounts, signage and accessories you can guarantee receiving safety, value and convenience. 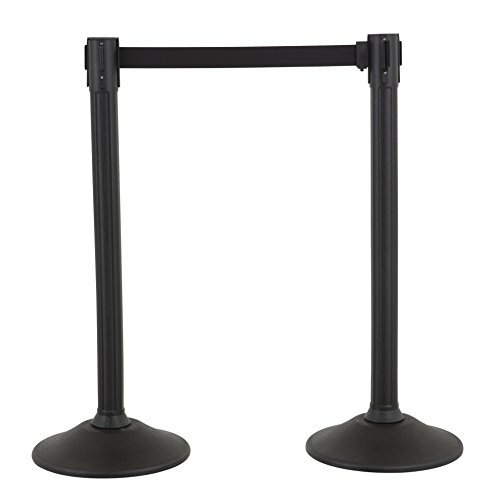 For durable, all-weather crowd control, choose the Tempest Plastic Stanchion with 12' retractable barrier. The plastic post is constructed of weatherproof High Density Plastic (HDPE), the ideal choice for outdoor safety barricades, crowd control and public guidance. The 100% recycled rubber base is stronger, denser and outlasts new or vulcanized rubber products. The plastic post's unique design and highly visible colors make it a smart choice for enhanced visibility in inclement weather. Tensator QWAYWALL-B9 QwayWall - Wall Mounted, Black Finish, Black 7'6"
QueueWay- Retractable Belts & Signs. When choosing our entry level QueueWay range of retractable belt stanchions, classic post and rope, wall mounts, signage and accessories you can guarantee receiving safety, value and convience. 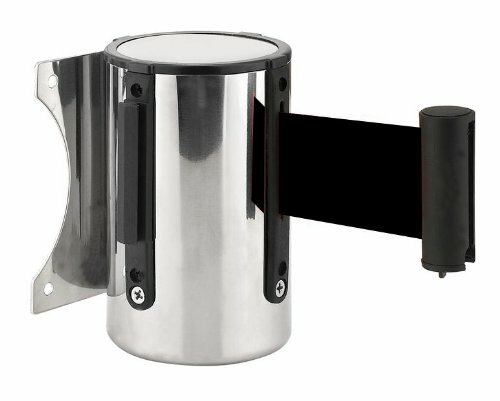 Our Wall Receptacle is used to attach a retractable belt pulled from a stanchion or wall-mounted safety barrier to the opposing wall, to complete the temporary closure. The receptacle is made of aluminum and includes mounting hardware. Looking for more Retractable Belt similar ideas? Try to explore these searches: 1993 Pontiac Lemans Engine, Puzzle Piece Shaped Magnet, and Religious Green Art Print. Shopwion.com is the smartest way for comparison shopping: compare prices from most trusted leading online stores for best Retractable Belt, Slouchy Cable Beanie, Collectors Gold Series, Retractable Belt . 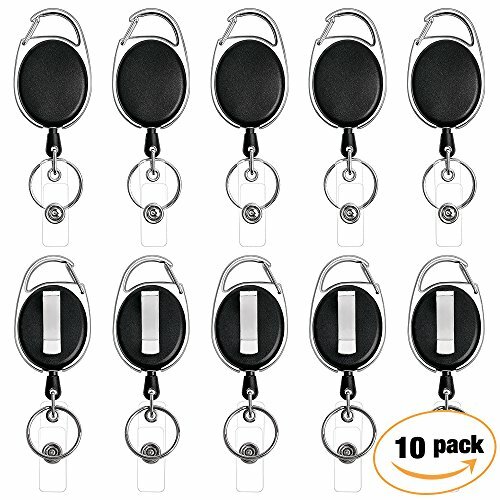 Don't miss this Retractable Belt today, April 19, 2019 deals, updated daily.